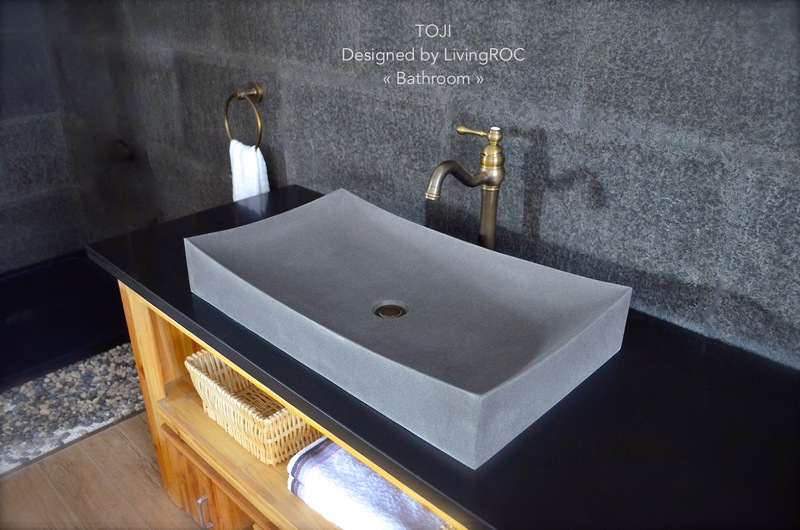 LivingRoc USA-The Blog: LETS UPDATE YOUR BATHROOM!!!! LivingRoc has your most sought after granite, marble, onyx and basalt products to make your bathroom project a place to relax and refresh. Looking for a trendy, chic yet affordable bathroom sink and shower bases than search no more. 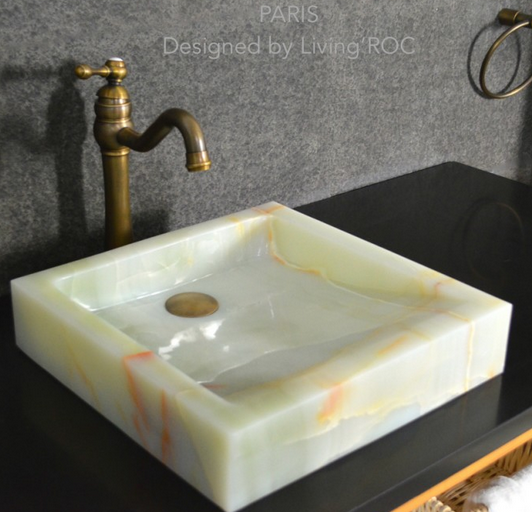 LivingRoc can help you design your bathroom into an oasis of elegance, calm and tranquility. Lets have a look how LivingRoc's natural stone products can help your imagination become reality. 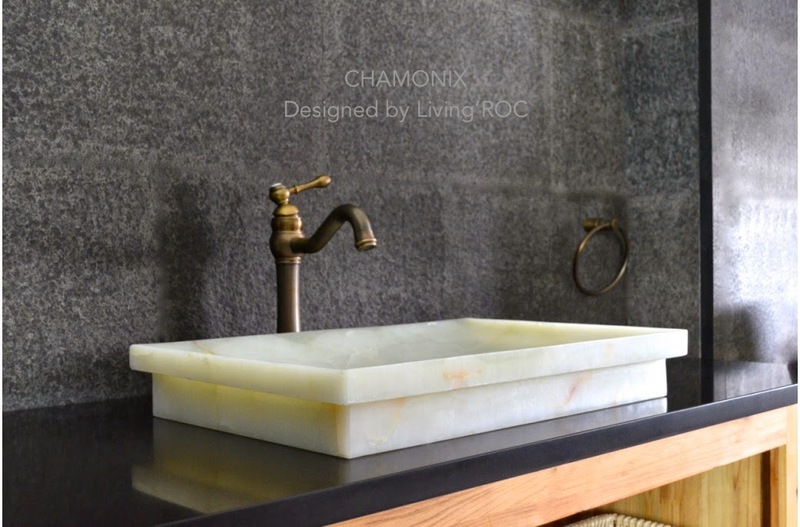 Chamonix is our Onyx bathroom vessel sink. With a generous size of 24x15x3. You can use this model as a vessel or drop in sink. Discover the well being and pure luxury that onyx can bring to your surroundings. TOJI is the creation of a combined group of talented masons dedicated to the idea of creating bathware made from natural material, which is environmentally friendly. This gray Andesite (basalt) bathroom sink will create a stunning look for your bathroom. 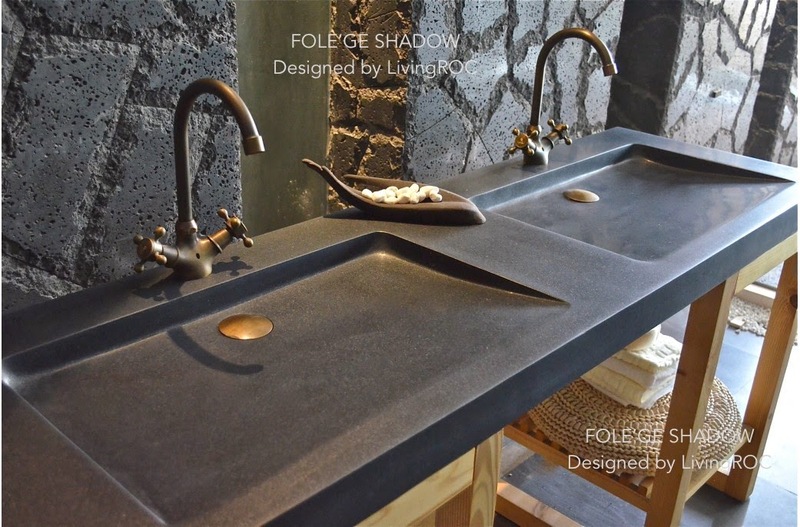 Looking for something larger in a natural stone sink than the FOLEGE SHADOW could be the bathroom trough sink for you. Could you imagine one day installing a double basin made from pure absolute black granite, sought after by specialist around the world. Transform your shower space as well. We have generous sizes to choose from in our natural stone shower pans. Installing a stone shower base into your environment will bring your bathroom into an oasis of tranquility. 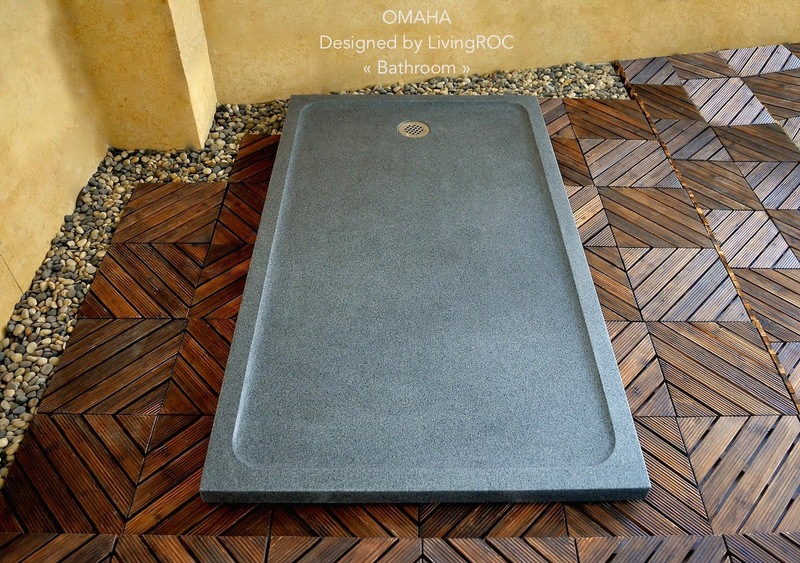 The OMAHA is made from pure natural stone. Add value to your home by transforming your bathroom into an oasis of elegance. The large piece of stone cut from a block of granite is preformed to create an effective water slope to the drain. 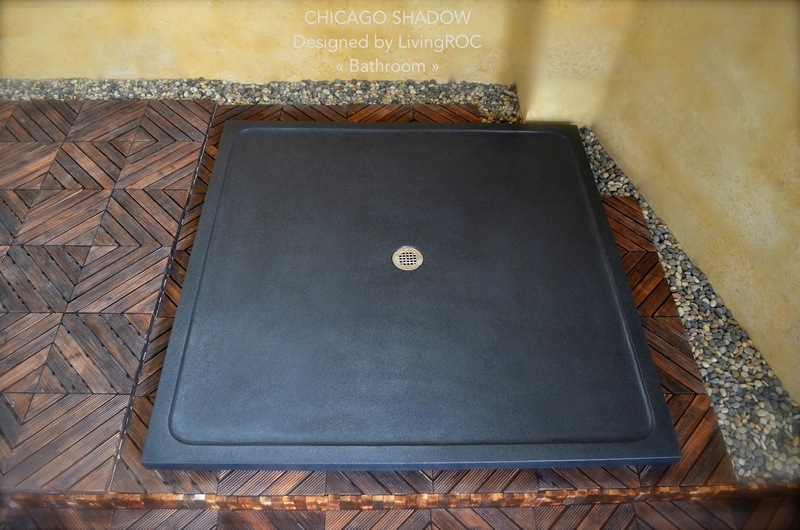 CHICAGO SHADOW made from pure black granite is extremely resistant to chocks, and daily use. Our bathroom shower vases can ve used for indoors and outdoor installations. Honed finish provides a non-slip flooring. As always you can view these products and a beautiful collection of natural stone products at LivingRoc.net.